Get notified when website is down. You are here: Home / free / Get notified when website is down. Do you get notified when website is down ? If you do, how ? Via Email? What if email is congested or even email server is down? 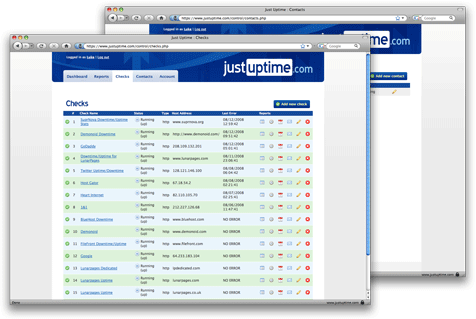 With Justuptime.com website monitoring service, you now can get notified via SMS and/or Email notification whenever website is down. 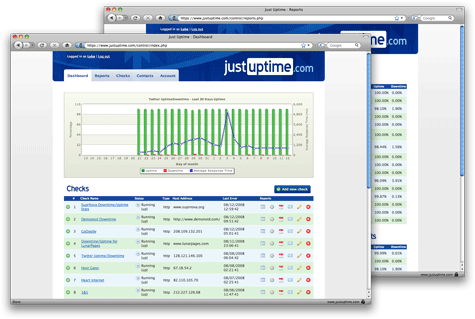 Justuptime.com is able to monitor your website (http and https), DNS server, mail server (POP3/IMAP/SMTP checks) and can tell when your website/webpage contains certain keywords! Is this FREE ?! No way ! They offer 2 packages, check out the pricing here.